For album number three, UK artist Ghostpoet veers into indie-rock territory and sounds very much au fait. Born Obaro Ejimiwe, of Nigerian parentage, his previous releases were critically acclaimed electronic, beat-driven affairs. The aptly-titled Shedding Skin still finds him using his spoken/drawled baritone delivery, backed this time by a nervy and moody indie soundscape matching the weighty subject matter. Opening cut 'Off Peak Dreams' is a skeletal groove touching on homelessness. 'Yes I Helped You Pack' touches on a turbulent marriage over bleak guitars, with Ghostpoet and vocalist Etta Bond muttering verses like "I got the curtains drawn... Think of the kids... Pack your bags just leave", fraught with tension. 'X Marks the Spot' is sunnier, with vocalist Nadine Shah adding a sultry spark to the chorus. The title track is sparse and bluesy, with quivery guitars and the chorus: "You think you know me/ You never know me... Simmer down". Everything stands out: the Bowie-channeling ballad 'Be Right Back, Moving House'; 'That Ring Down the Drain Kind of Feeling', a menacing, trip hop piece touching on pain at a former lover's new found joy ("I'm back where I started" goes the despairing chorus by Nadine Shah); the bouncy 'Sorry My Love, It's You Not Me', with its spine-tingling bass riff and verbose delivery from Ghostpoet; the pleasantly discordant 'Better Not Butter'; the acoustic 'The Pleasure in Pleather', with spontaneous sonic bursts, and the closing chilly piano ballad 'Nothing in the Way', which builds gradually to a cinematic climax. 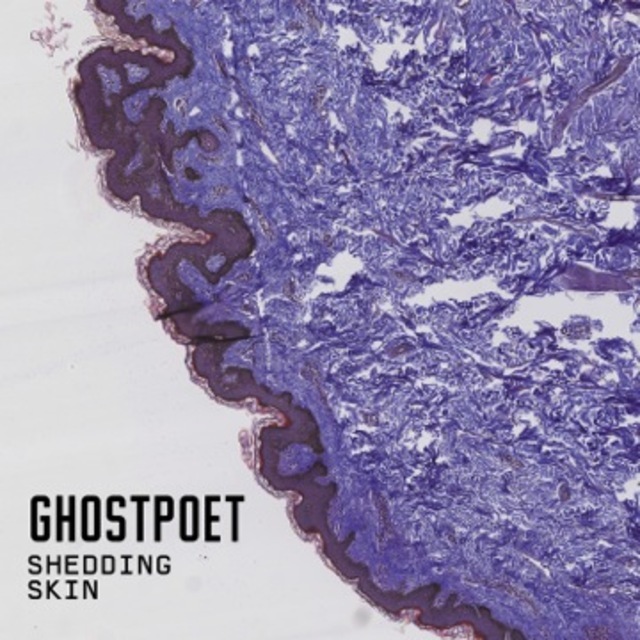 Jangly, angular riffs, spaceous effects, intricate layering, and that voice - Ghostpoet proves on this album to be an artist unencumbered by genre and scope. Sounds great Nse. I'll be checking this one out. The first two albums were fantastic. Hey Rob, it is a fantastic album. Hope you enjoy it.